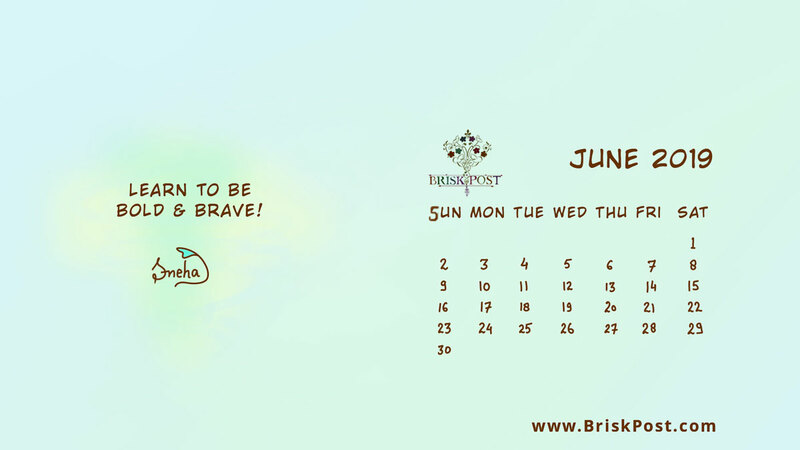 Quote Message: "Learn to be bold and brave!" 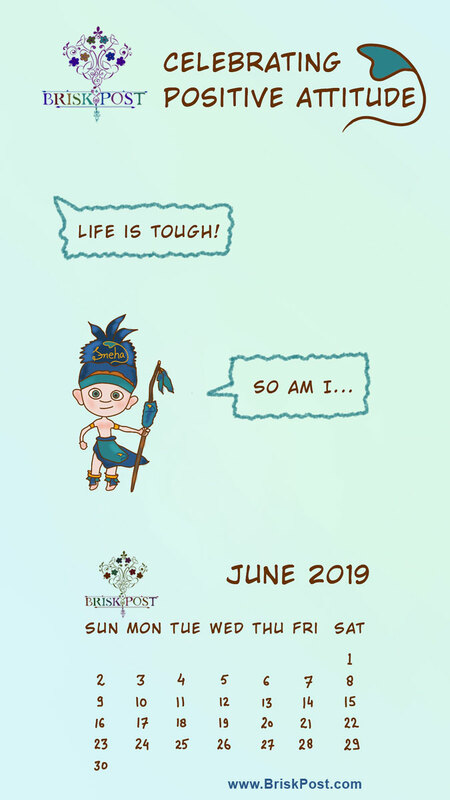 June 2017 Calendar: Be tough; indeed tougher than the situation, no matter what! Anonymous says, "Life is tough!" The boy cartoon replies with positive attitude, "So am I!" Quote of the month: "Be tough to make the life smoother!"